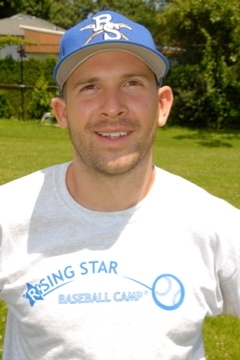 Dan Kelly began coaching at Rising Star Baseball Camp in 1999. As captain and spirited leader of his high school team, Dan moved on to attend Yale University. Dan returned in 2008 to coach baseball and teach math at Albert Leonard Middle School in New Rochelle. With a gifted passion for teaching fundamentals, Dan is an outfield defense clinician with a focus on the crow hop, cross-over and drop step footwork, as well as proper outfield throwing mechanics.